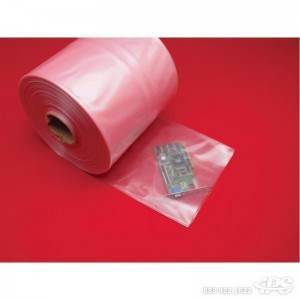 Pink Anti-Static Poly Tubing is the economical way to package or enclose objects of same width but various lengths. Anti static plastic tubing can be heat sealed or taped at either one or both ends. Our Anti-stat Poly tubing has a surface resistance of 1012 ohms/sq.in and is amine-free. PAS tubing is designed for applications where Faraday Cage Protection is NOT required.